SURVIVORS & PROJECT DEFENDING LIFE are teaming up to bring YOU the FIRST-EVER NEW MEXICO ProLife Training Camp in Albuquerque! Survivors ProLife Training Camps are designed to involve YOU in exciting and effective activism. 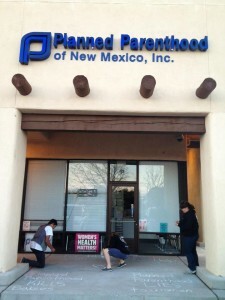 This FIRST-EVER New Mexico Camp will take place in Albuquerque, the Abortion Capital of the Southwest and the Late Term Abortion Capital of the country — a location that provides endless opportunities for much-needed activism. Get educated, get equipped, and get EXCITED! But first, get yourselves to New Mexico! Camp fee is $250. Camp fee includes food, lodging, training materials, and transportation once you have arrived at camp. Register by filling out the online application here! 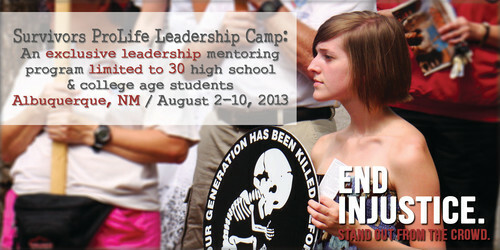 Survivors ProLife Training Camps have equipped hundreds of high school and college students to be effective voices for the preborn. From preparing a press release to sharing the truth about abortion on a street corner, the Survivors are trained as warriors of the highest caliber. Through the signature combination of classroom teaching and hands-on experience, the Survivors ProLife Training Camps are producing pro-life leaders for the next generation. This is your opportunity to take the next step in effective pro-life activism. Fuel your passion and see lives saved! For fundraising ideas visit here! How: Complete the online application and send your $50 non-refundable deposit. You will receive confirmation (parents of minors will be included in all correspondence) once your application has been received. The Survivors ProLife Spring Training Camp is taking place in Albuquerque, New Mexico, the Abortion Capital of the Southwest and the Late Term Abortion Capital of the country, a location that provides endless opportunities for exciting and effective activism. However, before you begin any activism, you will participate in three days of workshops and training sessions taught by experienced pro-life leaders. These workshops are designed to equip you to confidently present the pro-life message on the streets, in schools, and to your peers. Whether you’ve been in the pro-life fight for years, or are new to the cause, you will come away with a fresh perspective and better equipped to intercede for the pre-born. Why Pro-Life? The Basics, The Woman, The Child: A full-day introduction to the abortion debate. The Abortion Industry: Because no one can fight an effective battle without first knowing the opposition. From abortion methods to abortion providers and promoters, the dark history and current status of the abortion industry in America is exhaustively examined. Persuasively Defending Life: In-depth apologetics and ambassadorship. Preparing you to represent the plight of the pre-born in any situation, teaching you to engage in effectively dialogue with the ultimate goal of impacting hearts and minds. Activating Your Community: Taking the initiative, starting pro-life groups, engaging and activating your peers in their hometowns. Media: From online resources to traditional print, television and radio, utilizing the power of the media to consistently present the message of life to the American people. 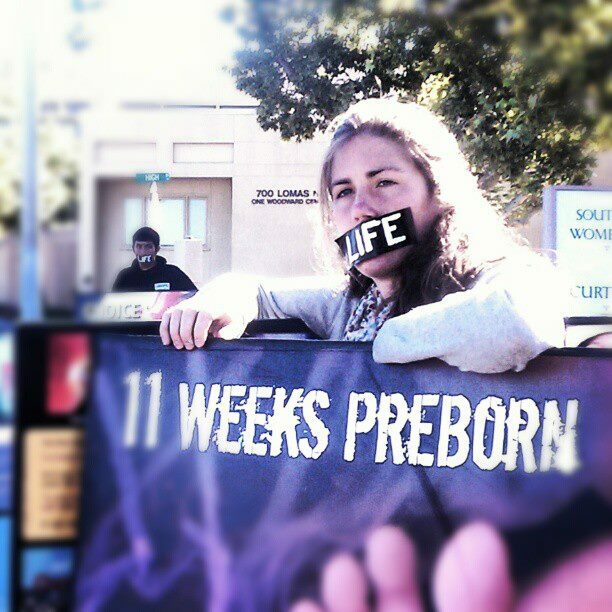 Sidewalk Counseling: Because the sidewalk in front of an abortion clinic is the last line of defense for a pre-born child and his mother, experienced sidewalk counselors will equip you to lovingly reach out to women with hope and alternatives to abortion. Legal Rights: What you should know as an activist about the Constitution, state and local laws, and how to interact with police at a pro-life event. Knowing your rights is crucial if you are to be an effective and unflinching voice for the pre-born! Not only will the Survivors ProLife Training Camp train and equip you to be an effective voice for the voiceless, but also gives you an opportunity to try out a wide variety of pro-life events and activities during the last 6 days of camp. 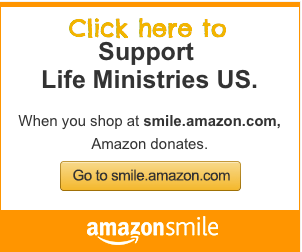 Whatever your style, you will be able to find the pro-life outreach that works for you!